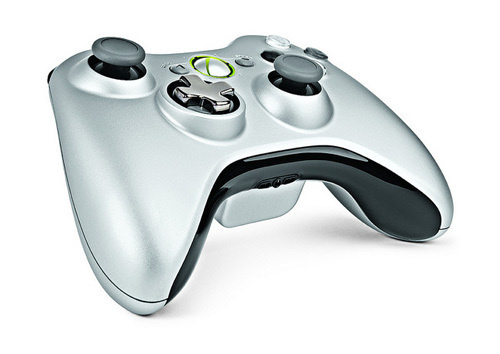 Microsoft will be releasing a new, re-designed Xbox 360 wireless controller that features a transforming d-pad and different colored buttons later this year. 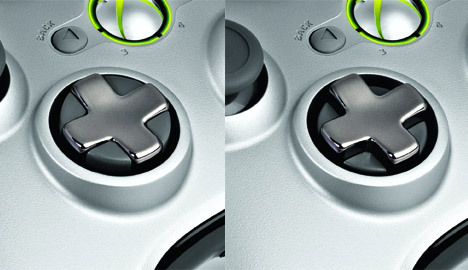 Acknowledging the trouble many players have had with the current d-pad, Microsoft’s engineers have upgraded the controller’s d-pad to go “from a plus to a disc with the twist of the wrist,” according to Larry “Major Nelson” Hryb, director of programming for Xbox Live. The new controller also features concave analog sticks and gray A,B,X,Y buttons for “added style.” The controller will only be available with the Play & Charge Kit on November 9 in the United States for $64.99, with a European release planned for next year.